No more waiting in line at the busy taco stand! 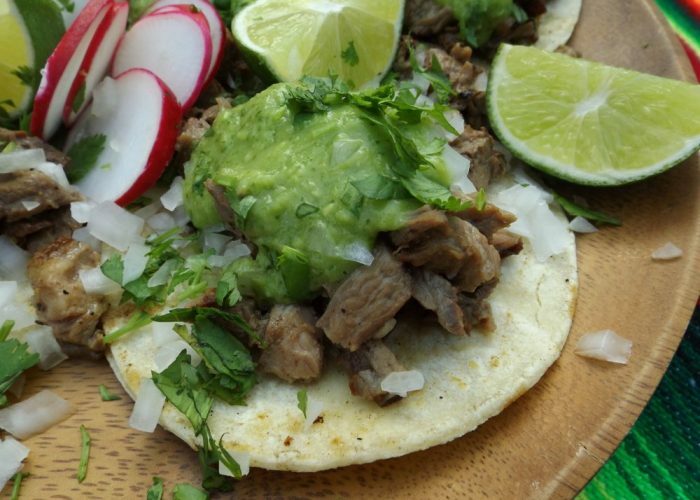 Enjoy authentic carne asada tacos at home today. 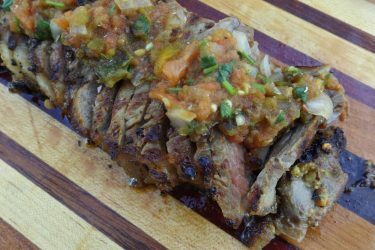 Easy marinade and salsa recipe included! 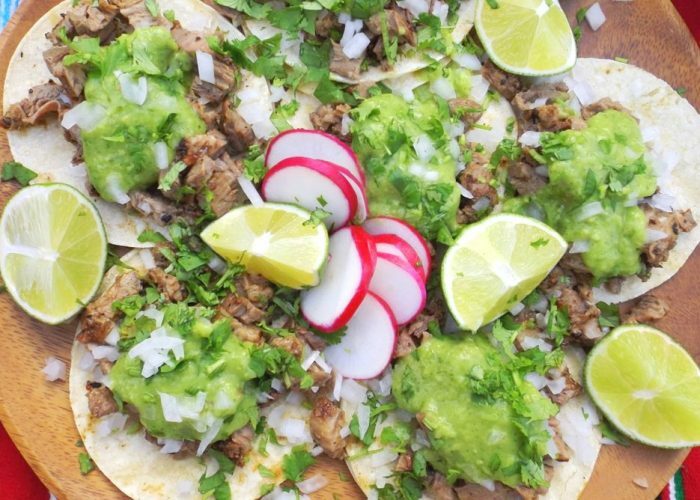 Preparing taquería-style carne asada tacos at home is a lot easier than people think. The best carne asada tacos are made up of few fresh ingredients and a quick-grilled cut of steak. Arrachera is skirt steak, a cut of beef from the belly that's super flavorful but as tender as other cuts. In fact, whenever possible I recommend asking your butcher to tenderize the skirt steak for you. In many of the Mexican carnicerías (butcher shops), you'll find arrachera meat thinly sliced and already marinated. This cut of beef can be marinated or simply seasoned and then grilled. 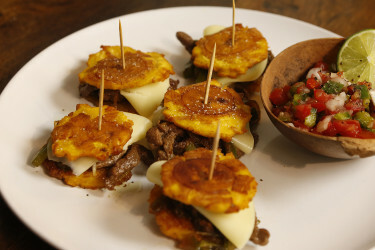 Here I show you how to prepare a delicious carne asada. The marinade is made up of easy-to-find ingredients. And that avocado salsa! You might want to prepare a double batch to serve with chips while waiting for the tacos. To the blender, add all of the ingredients for the marinade. Blend on high until smooth. Taste for salt. Place skirt steak into plastic storage bag and pour marinade in. Seal and marinate in refrigerator for 2 hours. In a clean blender, add all of the ingredients for the avocado salsa. Blend on high until extra creamy. Taste for salt. Pour into serving dish. Cover with plastic wrap and chill until ready to use. While you wait, prep and chop your taco garnishes. Cover and chill until ready to eat. Let skirt steak come to room temperature for at least 40-50 minutes before grilling. When ready, preheat outdoor grill to medium/high heat for 8-10 minutes with lid closed. Brush grates with oil. Shake off excess marinade from steak and place onto hot grill. Grill for 7-10 minutes, depending on thickness of steak. Turn halfway through cooking time. Internal temperature should read 130-135ºF, medium/rare. If you like it more medium, then the temperature should read 145ºF. Remove steak and transfer onto cutting board. Tent loosely with foil paper for 5-7 minutes. Warm tortillas while steak is resting. On the cutting board, slice arrachera thin and then chop small so it's easy to eat. 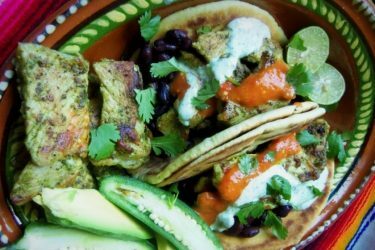 Plate tacos with two tortillas stacked. Enjoy as is or build two tacos out of the one. Garnish with avocado salsa, onion, cilantro, radishes and lime.